Saint Constantine I succeeded John V as Ecumenical Patriarch of Constantinople in the year 675. Prior to this he was Deacon and Skevofylax of the Great Church of Christ. Constantine is referred to as a traveler of Thrace and Macedonia, and is characterized as a great man and prudent clergy. 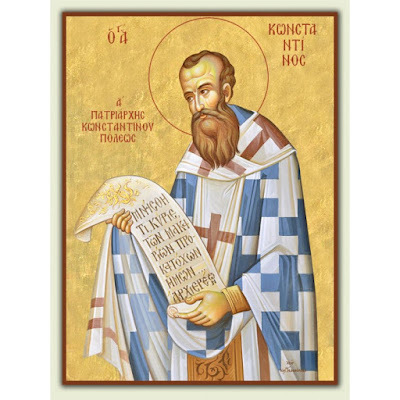 He is especially honored for fighting against the heresy of Monothelitism. He reposed in the year 677.